WHO: ACTOR MALE 13-18 YEARS OF INDIGENOUS DESCENT. WHAT: TV SERIES REGARDING INDIGENOUS ISSUES AND ADVENTURES. WHY: PAYMENT TO BE ADVISED. WHEN: SHOOT AUGUST (TRAVEL FOR 6 MONTHS). WITH: STARNOW (SUBSCRIPTION FEE PAYABLE). Popular TV show is seeking a co-host/presenter for the second series of this fun program. 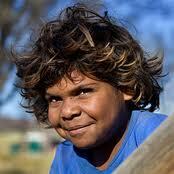 Indigenous boy aged 13-18 years old. Confident, able to speak off the cuff and improvise dialogue with another host. We want to see confident, adventurous, chatty boys who are happy to talk by themselves to camera. Please only apply if you are of Aboriginal decent. The host will travel around Australia for up to 6 months covering stories with a small crew. Should be adventurous and happy to ride motorbikes, swim with sharks, jump out of planes. Not for the faint hearted but also talk about indigenous issues, love of animals, cultural customs, sports and have knowledge of Aboriginal way of life with some confidence. Auditions will take place in Sydney, but also accept self tests/auditions from anyone around Australia who is keen. No experience required just confidence and enthusiasm. Loads of travel, loads of animals, small crew, no frills but a great experience across Australia! Shoot dates approx – August 2013 x 13 episodes. Obviously the “host” will not be in school periodically, so will be home schooled/tutored whilst shooting/travelling. The producers will pay for all flights, accommodation, transport etc for “host” and guardian whilst shooting.